Sky's purchase of Virgin Media TV - what does it mean? Sky's acquisition of VMtv is a major announcement for British television – but what will it mean for cable and satellite customers and some of our most familiar digital television brands? Virgin Media TV or VMtv is the collection of television channels that Virgin Media owned including LIVING, LIVINGit, Challenge, Challenge Jackpot, Bravo, Bravo 2 and Virgin1. By selling VMtv, Virgin Media is no longer a content producer, but is concentrating on being a platform for other people's content. In essence, Virgin Media customers look set to benefit hugely from the deal – which has helped to push through some long term negotiations over HD channels, on demand and wholesale pricing. They will get more channels, more HD options, more on-demand television and more red button interactivity. Sky customers will get new HD channels to enhance their already impressive high definition line-up. Sky's purchase means that they no longer need to pay a 'carriage fee' to provide the VMtv channels – which could free up investment in the future. Already dominant in terms of HD channel offerings, Sky will now be able to offer two of the key HD channels that it didn't previously have – with Bravo and Living, homes to programmes like Spartacus Blood and Sand and Ghost Whisperer, now set to appear on the satellite platform. "Virgin Media will, for the first time, have the option of carrying any of Sky's basic HD channels, Sky Sports HD 1 and Sky Sports HD 2, and all Sky Movies HD channels," says the release. Virgin Media cable customers will not get all of the Sky HD channels, but will get more of them – including the opportunity to subscribe to HD Premiership football. "New carriage agreements will secure wholesale distribution of …the newly acquired VMtv channels, on Virgin Media's cable TV service." So, you won't be losing Bravo, Living or Virgin 1 (or whatever it is rebranded to) if you are a cable subscriber. 4. New carriage deals done for Sky basic channels for cable. "New carriage agreements will secure wholesale distribution of Sky's basic channel line-up, including Sky1 and Sky Arts." So, deals have been done as part of the purchase that will make sure that Sky basic channels are still available on the cable platform. "Virgin Media will make available through its on-demand TV service a range of content from Sky's basic and premium channels, including the newly acquired VMtv channels." The success of Virgin's on demand service has been proven by a constant increase in consumer use - this deal will only make that offering even better and help more people understand the value of VoD. 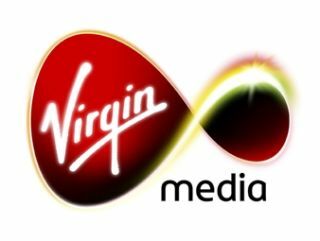 "Virgin Media will also have access to red button interactive sports coverage…"
Which could potentially mean access to all of the live Sky-covered Champions League matches that aren't the main feature and are normally only accessible through the Sky red button, as well as things like Fanzone, highlights and a whole host of interactive goodies. "Virgin Media will also have…the opportunity to deliver selected standard definition programming over the internet." So the long-awaited Virgin Media internet catchup and choice television platform will still have some content. Sky One HD and a few more will now be coming to Virgin Media - although the company has not yet finalised what the pricing will be or what TV packages will get the channels. Sky now owns Virgin One and all of its content, but not the Virgin branding, which means that Virgin One will be rebranded. Sky 4 anyone?